All models are moulded molded in black nylon, ABS or PP. Some models can be supplied in white or grey colours.gray colors. Other custom made colourscolors can be produced, subject to a reasonable order quantity as setup charges may be required. Some models can accept optional diamond spun or coloured colored caps. Marker dots are standard on models as indicated. The standard dot or line position is opposite the set screw or 'D' flat. Other variants are possible subject to agreement. Please refer to the shaft size table for details. Collet fitting using our low cost plastic collet system is available for our K9 to K12 series. 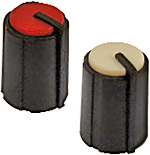 Two colour, color, moulded molded models K87MA, K87MBR are suitable for mixing consoles. They combine good looks and ultimate low cost. Some models are available with a rubber soft-touch finish. 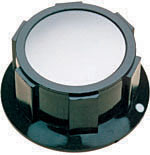 Applications requiring similar style knobs of various sizes are well catered for in our range of models. When ordering, please specify quantity, model, colour, color, fixing, lines or dots and shaft size. If in doubt, please refer to our sales office. For example : K6C / black / SF / Marker dot / ¼″ or K9 / black / marker line / 6mm splined shaft. All dimensions are approximate and in millimetres millimeters. 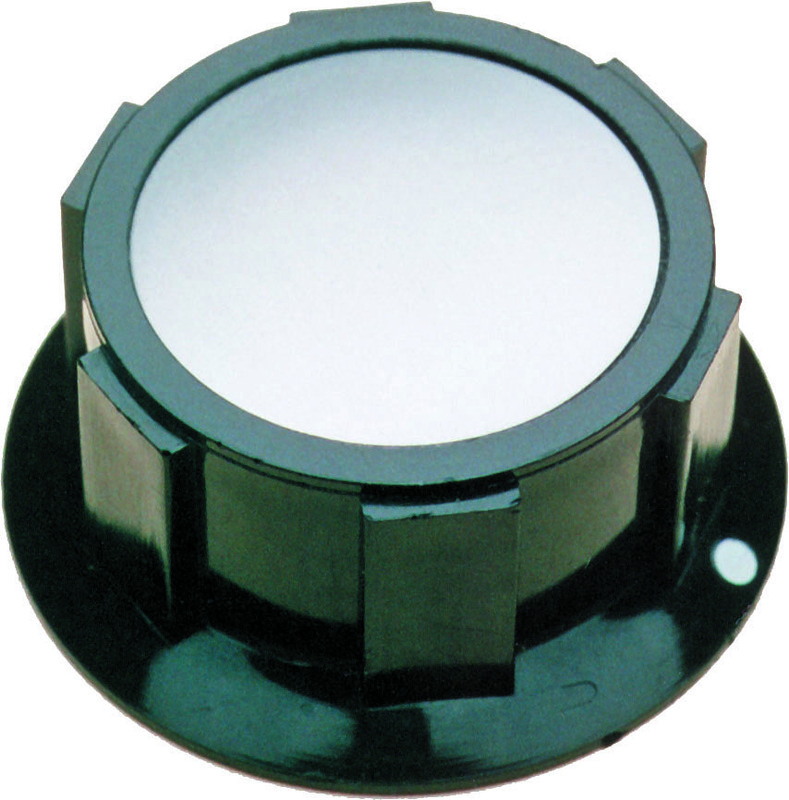 For further technical specifications please see the PDF data sheet Rotary control knobs (opens in a new window). For dimensions and technical drawings please see the PDF data sheet Rotary knob dimensions and technical drawings (opens in a new window). For shaft sizes and types please see the PDF data sheet Rotary control knob shaft sizes and types (opens in a new window). Jump down to K1C, K4C, K5, K6C, K6C/SKT, K7C, K8, K85, K86R, K86AR, K87MA, K87MBR, K88, K9, K10, K11, K12, K13, K14, K15, K16, K17, K18, K19, K21, C18, C18/SKT, KM12B, KM20B, KMR12, KMK10, KMK25, KMK10E, Shaft Sizes and ColoursColors. 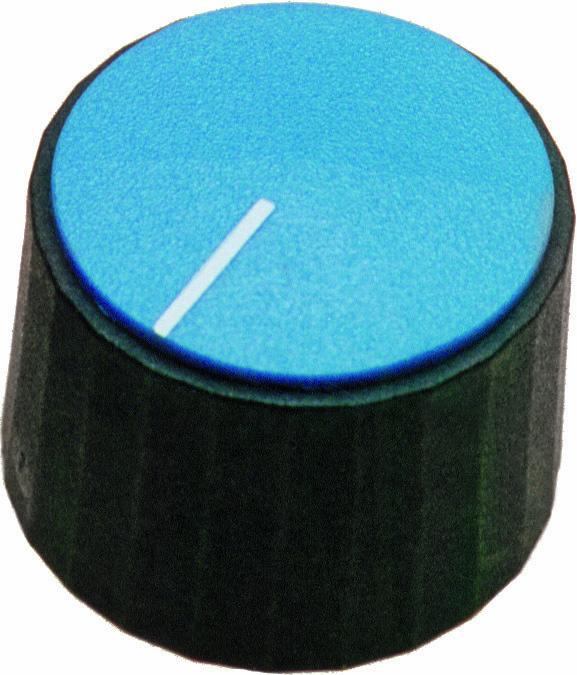 K1C Practical low cost knob, often used in outdoors equipment. Chrome or satin discs available. Marker dot on the skirt as standard. 25.4mm base diameter (skirt), 15.1mm height, 12mm shaft depth. FC1601 6mm spline Black with marker dot. FC1610 ¼″ screw Black with marker dot. FC1611 6mm screw Black with marker dot. 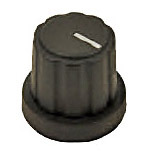 FC1616 ¼″ screw Black with marker dot and satin cap. FC1622 6mm screw Black with satin cap. 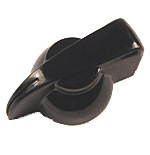 K4C Bakelite pointer knob with a matt textured finish. 19mm base diameter (circular part), 31.7mm length, 13.7mm height, 11.4mm shaft depth for quarter inch screw fitting. 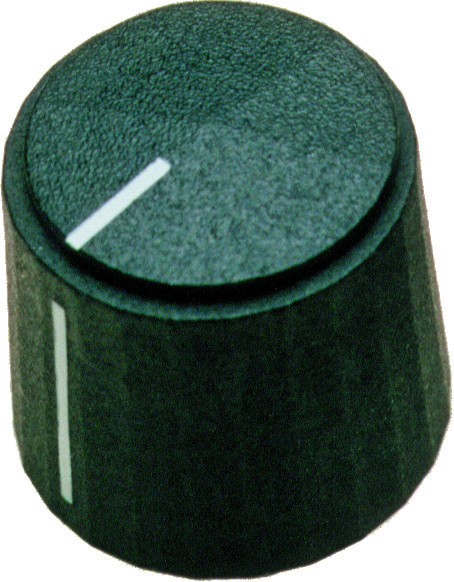 FC1658 ¼″ screw shaft, black knob with black marker line. FC1662 ¼″ screw shaft, black knob with white marker line. K5 Marker line on top is optional. 19.5mm base diameter, 19.2mm height, 16mm shaft depth. CL1673 6mm screw Black with gold cap with marker line. CL1674 ¼″ screw Black with silver cap and marker line. CL1675 ¼″ screw Black with gold cap and marker line. CL1677 6mm screw Black with silver cap. CL1678 6mm screw Black with silver cap and marker line. K6C Screw fix only. Dot on top is optional. 25.4mm base diameter, 12mm height. 12mm shaft depth. FC16782 6mm screw shaft, black with aluminiumaluminum cap and marker dot. FC16876 6mm screw shaft, black with black cap and marker dot. K6C/SKT Standard skirts are plain, marked 0 to 5 or 0 to 10. Skirt sold separately and fits on all K6 knobs. 41mm base diameter (skirt), 14mm height, 10mm shaft depth. CL1684 Marked 0 to 10. K7C Marker line on top is optional. Coloured Colored plastic top available, (mininum 1000). 19.1mm base diameter, 16mm height, 14mm shaft depth. FC1692 6mm spline Black with silver cap and marker line. CL16924 6mm spline Black with black cap and marker line. FC1693 ¼″ screw Black with gold cap. FC1698 ¼″ screw Black with silver cap and marker line. FC1699 6mm screw Black with silver cap and marker line. K8 Marker dot on skirt is standard. Coloured Colored plastic top available, (mininum 1000). 25.1mm base diameter, 16.7mm height, 12mm shaft depth. CL1704 ¼″ screw shaft, black, silver cap. CL1708 6mm screw shaft, black with silver cap. K85 Available for push fitting only. Eight colourscolors of cap available. Caps push into the top of the knob, and can locate in any position. Skirt, cap or both may have a marker line. Transparent model for encoder also available. Supplied unassembled. Not available in a rubber finish. 14mm base diameter (skirt), 18mm height, 11.5mm shaft depth. CL17095 6mm D Black with marker line. CL17096 6mm USA D Black. CL170981 ¼″ D Black with marker line. CL170995 ¼″ D greyGray with marker line. 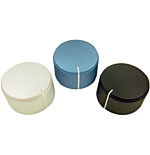 Caps are sold separately, with or without a marker line, in black, white, red, grey, gray, yellow, blue or green. CL177901A black cap with white marker line. CL177902A black cap without marker line. CL177903A white cap with black marker line. CL177904 white cap without marker line. CL177905A red cap with white marker line. CL177906A red cap without marker line. CL177909A greygray cap with white marker line. CL177910A grey gray cap without marker line. CL177911A yellow cap with black marker line. CL177912 yellow cap without marker line. CL177913A blue cap with white marker line. CL177914 blue cap without marker line. CL177915A green cap with white marker line. K85 translucent Illuminated, rotary, shaft encoders when used with our various translucent knobs, can enhance the appearance of many electronic products. Single, dual and RGB colour color LED versions with either horizontal or vertical mounting. Standard 6mm knurled shaft / 18T. With or without indent, (click). With or without momentary push switch. Please see Illuminated Encoders and Knobs for more details. Single colourcolor encoder, horizontal type without switch. Single colour color encoder, vertical type without switch. 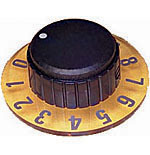 Dual colour color encoder, horizontal type with switch. Multi colour color encoder, vertical type with switch. FC4561RGB red / green / blue. 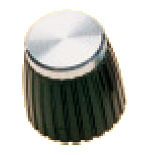 CL170976 translucent knob 6mm spline. 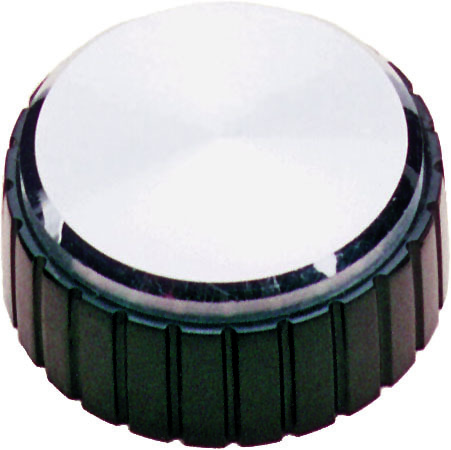 CL1709761 translucent cap with black marker line. Other cap colourscolors are available, either plain or with a marker line. K86R Two colour, color, moulded. molded. Six standard colours. colors. Soft touch finish. 16mm base diameter (skirt), 15.1mm height, 12mm shaft depth. FC72601D 6mm USA D Black with white marker line. FC72601S 6mm spline Black with white marker line. FC72602D 6mm USA D Black with red marker line. FC72602S 6mm spline Black with red marker line. FC72603D 6mm USA D Black with blue marker line. FC72603S 6mm spline Black with blue marker line. FC72604D 6mm USA D Black with green marker line. FC72604S 6mm spline Black with green marker line. FC72605D 6mm USA D Black with yellow marker line. FC72605S 6mm spline Black with yellow marker line. FC72606D 6mm USA D Black with greygray marker line. FC72606S 6mm spline Black with greygray marker line. K86AR Two colour, color, moulded. molded. Six standard colours.colors. Soft touch finish. 11.5mm base diameter, 14.8mm height, 10mm shaft depth. FC72611D 6mm USA D Black with white marker line. FC72611S 6mm spline Black with white marker line. FC72612D 6mm USA D Black with red marker line. FC72612S 6mm spline Black with red marker line. FC72613D 6mm USA D Black with blue marker line. FC72613S 6mm spline Black with blue marker line. FC72614D 6mm USA D Black with green marker line. FC72614S 6mm spline Black with green marker line. FC72615D 6mm USA D Black with yellow marker line. FC72615S 6mm spline Black with yellow marker line. FC72616D 6mm USA D Black with greygray marker line. Black with greygray marker line. 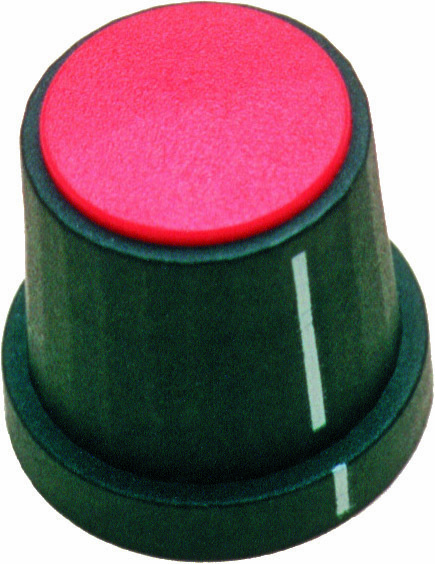 K87MA and K87MAR Black, hard-touch (K87MA) or rubberisedrubberized soft-touch (K87MAR) rotary control knob with moulded molded colour color top and marker line. Standard line colours:colors: white, grey, gray, blue, green, red, orange, yellow. Push fitting only. We can make custom versions subject to acceptable quantities. 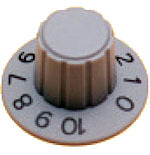 Knobs are low cost due to volume production. 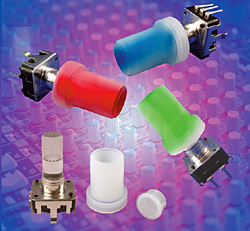 The (not removeable) coloured colored top helps identify colour color coded grouped functions in equipment with many knobs. 16.8mm base diameter (skirt), 14.5mm height, 12.8mm shaft depth, (11.8mm for 6mm splined shaft). K87MA has a hard finish. CL170822B 6mm D Black with white marker line. CL170822C 6mm spline Black with white marker line. CL170822D ¼″ D Black with white marker line. CL170823F 6mm USA D Black with red marker line. CL170825F 6mm USA D Black with greygray marker line. CL170827F 6mm USA D Black with blue marker line. K87MAR has a soft-touch, rubber finish. CL170822BR 6mm D Black with white marker line. CL170822CR 6mm spline Black with white marker line. CL170822FR 6mm USA D Black with white marker line. CL170823BR 6mm D Black with red marker line. CL170823CR 6mm spline Black with red marker line. CL170823DR ¼″ D Black with red marker line. CL170823FR 6mm USA D Black with red marker line. CL170825BR 6mm D Black with greygray marker line. CL170825CR 6mm spline Black with greygray marker line. CL170825DR ¼″ D Black with greygray marker line. CL170825FR 6mm USA D Black with greygray marker line. CL170826BR 6mm D Black with yellow marker line. CL170826CR 6mm spline Black with yellow marker line. CL170826DR ¼″ D Black with yellow marker line. CL170826FR 6mm USA D Black with yellow marker line. CL170827BR 6mm D Black with blue marker line. CL170827CR 6mm spline Black with blue marker line. CL170827DR ¼″ D Black with blue marker line. CL170827FR 6mm USA D Black with blue marker line. CL170828BR 6mm D Black with green marker line. CL170828CR 6mm spline Black with green marker line. CL170828DR ¼″D Black with green marker line. CL170828FR 6mm USA D Black with green marker line. 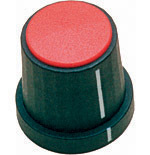 K87MBR Black, soft-touch rotary control knob with moulded molded colour color marker line. Standard line colours:colors: white, grey, gray, blue, green, red, orange, yellow. These knobs are similar to K87MAR but without a coloured colored top. They can be used where a more subtle colour color coding is required. Push fitting only. CL170841CR 6mm spline Black with white marker line. CL170842CR 6mm spline Black with red marker line. CL170843CR 6mm spline Black with orange marker line. CL170844BR 6mm D Black with greygray marker line. CL170844CR 6mm spline Black with greygray marker line. CL170844FR 6mm USA D Black with greygray marker line. CL170845CR 6mm spline Black with yellow marker line. CL170846CR 6mm spline Black with blue marker line. CL170847CR 6mm spline Black with green marker line. CL170849BR 6mm D Black with white marker line. CL170850BR 6mm D Black with yellow marker line. CL170851BR 6mm D Black with blue marker line. CL170852BR 6mm D Black with green marker line. CL170853BR 6mm D Black with red marker line. CL170854BR 6mm D Black with orange marker line. K88 Available in a variety of different colourscolors with a choice of caps. 12mm base diameter, 18mm height, 11.5mm shaft depth. 1=6mm splined, 2=¼″ D, 3=¼″ splined, 4=4mm D, 6=6mm D). 1=opaque, 2=black, 3=white, 4=grey, =gray, 5=green, 6=yellow, 7=red, 8=blue, 9=brown. Show/hide example part numbers and caps. 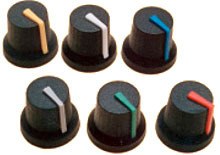 K88 rotary control knobs - Example part numbers. CL178812 6mm spline shaft, black. CL178822 ¼″ D shaft, black. CL178832 ¼″ spline shaft, black. CL178842 4mm D shaft, black. CL178862 6mm D shaft, black. K9 This model has a separate push in cap which comes in eight colours.colors. 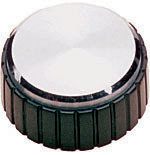 The knob and cap can be plain or with a line. 19.2mm base diameter (skirt), 19mm height, 13.8mm shaft depth. CL17112 ¼″ collet Black with marker line. CL1713 6mm D Black with marker line. CL1716 ¼″ D Black with marker line. CL1718 6mm spline Black with marker line. CL1724 ¼″ screw Black with marker line. CL1726 6mm screw Black with marker line. Caps are sold separately, with or without a marker line or dot, in black, white, grey, gray, green, yellow, red, blue or orange. CL1730 Black cap without marker. CL1764 Black cap with marker line. CL1745 Black cap with marker dot. CL1732 White cap without marker. CL1766 White cap with marker line. 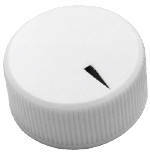 CL1746 White cap with marker dot. CL1736 GreyGray cap without marker. CL1770 GreyGray cap with marker line. CL1750 Grey Gray cap with marker dot. CL1742 Green cap without marker. CL1776 Green cap with marker line. 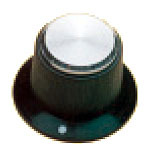 CL1755 Green cap with marker dot. CL1738 Yellow cap without marker. CL1772 Yellow cap with marker line. 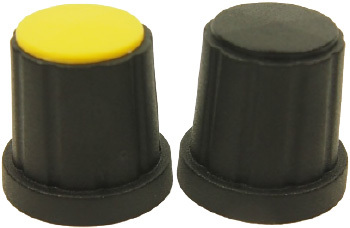 CL1752 Yellow cap with marker dot. CL1734 Red cap without marker. CL1768 Red cap with marker line. CL1748 Red cap with marker dot. CL1740 Blue cap without marker. CL1774 Blue cap with marker line. CL1754 Blue cap with marker dot. CL1744 Orange cap without marker. CL1769 Orange cap with marker line. CL1761 Orange cap with marker dot. K10 This model has a separate push in cap which comes in eight colours.colors. 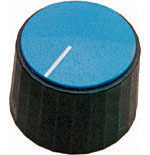 The knob and cap can be plain or with a line. 17mm base diameter, 18.5mm height, 13mm shaft depth. CL172828 6mm D Black with marker line. CL172830 ¼″ D Black with marker line. CL172831 6mm spline Black with marker line. CL172840 ¼″ screw Black with marker line. CL172841 4mm screw Black with marker line. CL172842 6mm screw Black with marker line. K11 This model has a separate push in cap which comes in eight colours.colors. 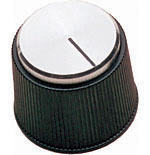 The knob and cap can be plain or with a line. 19.5mm base diameter, 19mm height, 13.3mm shaft depth, 7.2mm collet type. CL172854 6mm USA D Black. CL172855 ¼″ D Black with marker line. CL172856 6mm spline Black with marker line. CL172865 ¼″ screw Black with marker line. CL172867 6mm screw Black with marker line. CL172870 6mm collet Black with marker line. CL172871 ¼″ collet Black with marker line. CL177702 Black with marker line. CL177704 white with marker line. CL177706 red with marker line. CL177714 blue with marker line. CL177716 green with marker line. CL177712 yellow with marker line. CL177710 greygray with marker line. K12 This model has a separate push in cap which comes in eight colours.colors. 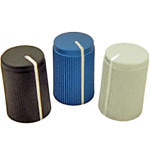 The knob and cap can be plain or with a line. K6C skirts can be glued on. 25.3mm base diameter, 19.2mm height, 13.3mm shaft depth, 7.2mm collet type. CL172878B 6mm USA D Black. CL172879 6mm collet Black with marker line. CL172880 ¼″ D Black with marker line. CL172890 ¼″ screw Black with marker line. CL172892 6mm screw Black with marker line. CL172893 6mm spline Black with marker line. CL177801 black with marker line. CL177802 black / gold with marker line. CL177803 white with marker line. CL177805 red with marker line. CL177815 green with marker line. CL177809 greygray with marker line. CL177807 orange with marker line. CL177811 yellow with marker line. CL177813 blue with marker line. 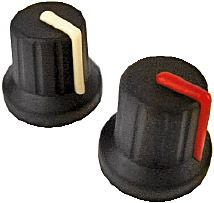 K13 Engineering Knobs This range of knobs incorporate metal threads or threaded studs. 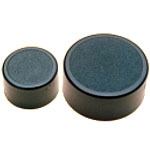 The smallest versions with M4 studs have moulded-in, molded-in, brass studs. Larger versions are made using ISO M4, M5, M6 or M8 steel nuts and bolts as the threaded element. Knobs can be supplied unassembled if required. Custom versions are easily made. 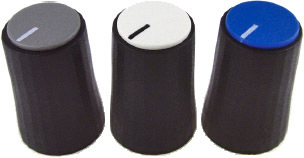 Due to the large number of possible variations, these knobs are made to order only. Standard colourscolors are grey,gray, black or red. CL1729101A K13A / M4 / 13 black. CL172912A K13B / M4 / 20 black with groove. CL1729182B K13G / M6 / 16 black. CL1729203G K13K / M8 / 25 grey.gray. 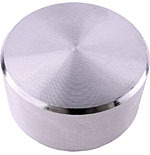 K14 Aluminium Aluminum clad plastic knobs with a diamond turned finish. The finish is protected from tarnishing and corrosion by a special treatment. Standard finish is bright aluminium. aluminum. The marker line is optional. 15mm diameter, 12.5mm height, 10mm shaft depth. CL172940 ¼″ screw Silver with marker line. CL172941 6mm screw Silver with marker line. CL172942 4mm screw Silver with marker line. CL172946 6mm spline Silver with marker line. 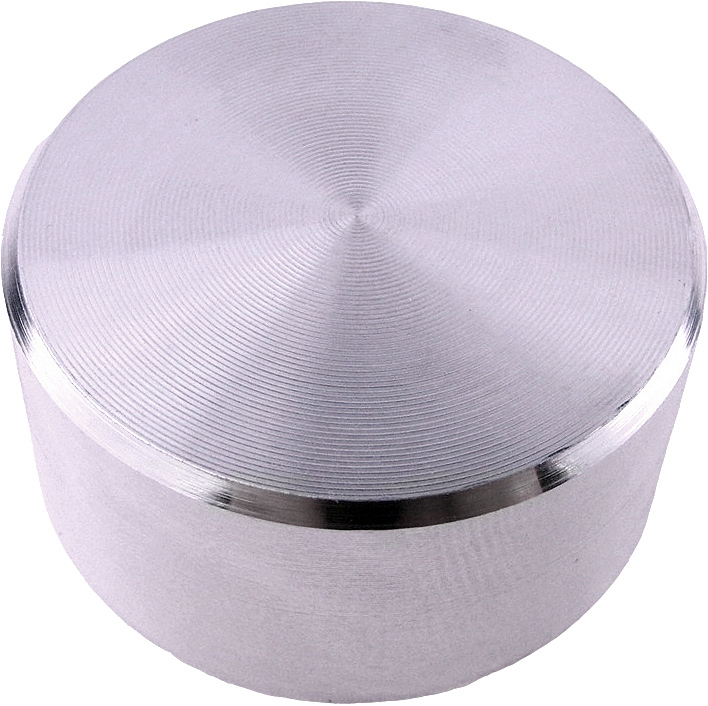 K15 Aluminium Aluminum clad plastic knobs with a diamond turned finish. The finish is protected from tarnishing and corrosion by a special treatment. Standard finish is bright aluminium. aluminum. The marker line is optional. 20mm diameter, 13.0mm height, 12mm shaft depth. CL172962 6mm spline Silver with marker line. CL172965 ¼″ screw Silver with marker line. CL172966 6mm screw Silver with marker line. K16 Aluminium Aluminum clad plastic knobs with a diamond turned finish. The finish is protected from tarnishing and corrosion by a special treatment. Standard finish is bright aluminium. aluminum. The marker line is optional. 30mm diameter, 13.0mm height, 12mm shaft depth. CL172989 6mm screw Silver with marker line. CL172990 ¼″ screw Silver with marker line. K15P Plastic version of K15 with a matt textured top. CL172970 K15P, 6mm spline shaft, black with marker line. CL172971 K15PM, 6mm screw shaft, matt black with marker dot. CL172972 K15P, 6mm spline shaft, black. K16P Plastic version of K16 with a matt textured top. CL172976 K16PA, 6mm USA D shaft, black. K17 Initially designed for electronic cosmetic equipment. 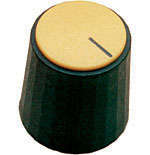 The knob has a fine, serrated edge, a matt, non- reflective finish and a prominent marker line. 29mm diameter, 12.9mm height, 10mm shaft depth. CL172996 ¼″ screw shaft, white / black with marker line. CL172997 ¼″ screw shaft, white / gold with marker line. CL172998 6mm screw shaft, white / black with marker line. 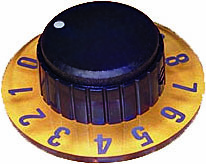 K18 This versatile knob is designed for use on encoders. Available as light weight, medium weight 35g, and heavy weight 50g. There are push fix and screw fix versions. The top surface has dual finger locations for fast or slow spin. The three different weights give three kinds of inertia when spinning the encoder. The heavier weight versions give the feel of the more expensive solid metal knobs, whilst our internal construction options allow for various shaft fittings. 39.6mm diameter, 13.5mm height, 13.5mm shaft depth. CL71670 6mm spline Light weight. CL71671 6mm screw Light weight. CL71660 6mm spline Medium weight 35g. CL71661 6mm screw Medium weight 35g. CL71662 ¼″ screw Medium weight 35g. CL71650 6mm spline Heavy weight 50g. CL71651 6mm screw Heavy weight 50g. K19 6mm spline shaft with a white marker dot, (1.5mm diameter). 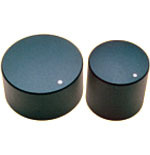 This knob comes in two sizes - K19A has a 15mm diameter and K19B has a 13mm diameter. This knob requires a 16mm panel hole. 16mm base diameter (skirt), 17mm height, 13.4mm shaft depth. FCR7171 - K19A 15mm diameter. FCR7172 - K19B 13mm diameter. 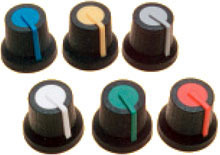 K21 A version of C18 available in various shaft fittings and cap colourscolors with optional marker line or dot. 19.3mm diameter, 19.2mm height, 13.8mm shaft depth. 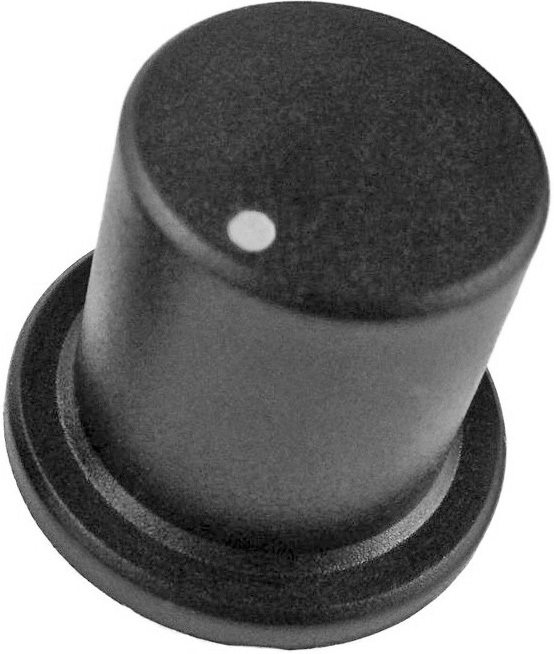 C18 A low cost nylon knob produced in all-black. 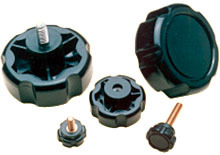 Caps are supplied pre-fitted and cannot be removed. Coloured Colored caps are no longer available. K21 is a version of C18 with a removeable coloured cap. The marker line has four possible locations. Available in push fix only. 19.3mm base diameter (skirt), 16.3mm height, 15mm shaft depth. 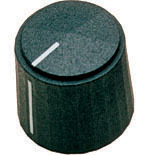 CP3450 ¼″ D Black knob with black cap and marker line. 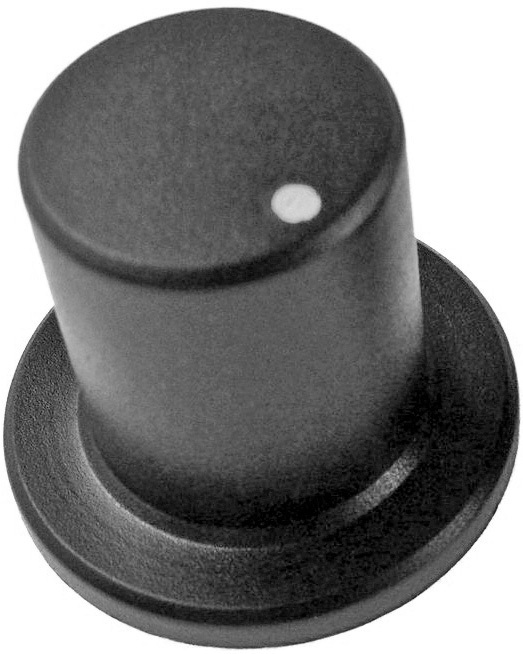 CP34501 6mm spline Black knob with black cap. 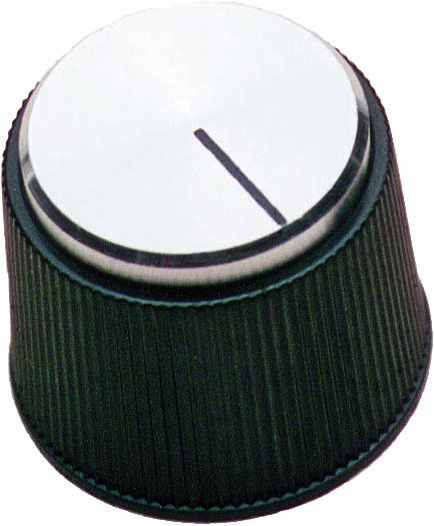 CP34502 ¼″ D Black knob with black cap and marker line at 9 o'clock. 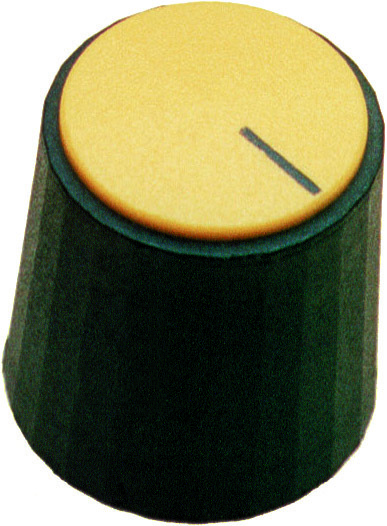 CP34505 6mm D Black knob with black cap and marker line. 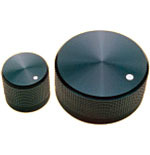 CP3480 6mm spline Black knob with black cap and marker line. 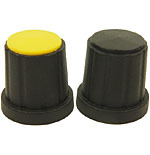 CP3505 6mm spline Black knob with yellow cap and marker line. C18/SKT This model has a knob and skirt in one piece. The skirt can have a marker line or printed numbers 0-10. Available in push fix only. Coloured Colored caps are not available. 27.8mm base diameter (skirt), 15mm height, 13mm shaft depth. CP3670 6mm spline Black with numbers 0 to 10 covering 300°. CP36710 ¼″ screw Black with numbers 0 to 10 covering 300°. CP36711 ¼″ screw Black with marker line. CP36720 6mm screw Black with numbers 0 to 10 covering 300°. CP36721 6mm screw Black with marker line. CP3678 6mm spline GreyGray with numbers 0 to 10 covering 300°. CP3680 ¼″ D Black with numbers 0 to 10 covering 300°. KM12B and KM15B Knurled aluminium aluminum shell on plastic inner. Standard finish is black anodised anodized to a very high standard. This can have a printed marker dot or diamond cut marker line. Custom versions are possible subject to quantity. KM12B 12mm diameter, 12mm height, 10mm shaft depth. FC7222 6mm spline Black with marker line. FC7222NML 6mm spline Black, plain. KM15B 15mm diameter, 15mm height, 14mm shaft depth. FC7223 6mm spline Black with marker line. KM20B, KM40B and KM50B Knurled aluminium aluminum shell on plastic inner. A high quality, black anodised anodized finish is is relieved by bright diamond cut features with a knurled finish on the edge. This can have a printed marker dot or diamond cut marker line. Custom versions, (coloured, (colored, for example), are possible subject to quantity. Standard models are for 18T 6mm splined shaft. Push fit only. Various sizes from 20mm to 50mm in diameter. KM20B - 20mm diameter, 17mm height, 15mm shaft depth. FC7225 6mm spline Black with marker dot. FC7225B 6mm spline Black with marker line. FC7225C 6mm spline Black with marker line and 36 teeth. KM40B - 40mm diameter, 17mm height, 15mm shaft depth. FC7226 6mm spline Black with marker dot and 36 teeth. FC7226C 6mm spline Black with marker line and 36 teeth. KM50B - 50mm diameter, 17mm height, 15mm shaft depth. FC7227 6mm spline Black with marker dot. 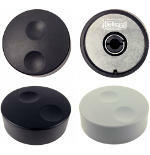 KMR12 to KMR50 Matt black, aluminium aluminum clad, plastic knob with a domed top. Marker dot or line. Smooth powder coated finish. Standard colourscolors are black or silver. Other colourscolors are available, subject to viable quantities. Various sizes from 12mm to 50mm diameter. Push fix only. For 18T 6mm splined shaft. Supplied in plastic mouldedmolded trays. KMR12 - 12mm diameter, 13mm height, 11mm shaft depth. FC7229 6mm spline Black with marker dot. KMR15 - 15mm diameter, 16mm height, 14mm shaft depth. FC7230 6mm spline Black with marker dot. KMR20 - 20mm diameter, 17.6mm height, 16.5mm shaft depth. FC7231 6mm spline Black with marker dot and 36 teeth. FC72315 6mm spline Black with 36 teeth. KMR25 - 25mm diameter, 18mm height, 16mm shaft depth. FC7232 6mm spline Black with marker dot. FC72325 6mm spline Silver with marker dot. KMR30 - 30mm diameter, 16mm height, 14mm shaft depth. FC7233 6mm spline Black with marker dot. KMR35 - 35mm diameter, 19mm height, 17mm shaft depth. FC7234 6mm spline Black with marker dot. KMR40D - 39mm diameter, 19mm height, 17mm shaft depth. FC7235 ¼″ D Black with finger dimple. KMR40 - 40mm diameter, 19mm height, 17mm shaft depth. FC72351 6mm spline Black with marker dot. KMR50 - 50mm diameter, 31mm height, 29mm shaft depth. FC7236 6mm spline Black with marker line. 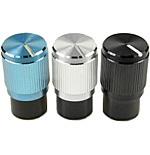 KMK10 Knobs for professional equipment comprising of a machined aluminium aluminum shell on a molded moulded plastic inner. Push on fixing. Other anodised anodized colourscolors may be available subject to quantity. 10mm base diameter, 15mm height, 11mm shaft depth. FC7248 Anodised Anodized Silver, 6mm splined shaft. FC7249 Anodised Anodized Black, 6mm splined shaft. FC7251 Anodised Anodized Black, 6mm USA ‘D’ shaft. 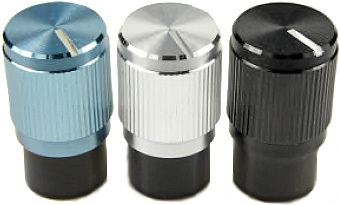 KMK25 Knobs for professional equipment comprising of a machined aluminium aluminum shell on a molded moulded plastic inner. Push on fixing. Other anodised anodized colourscolors may be available subject to quantity. 25mm base diameter, 15mm height, 11mm shaft depth. FC7252 Anodised Anodized Silver, 6mm splined shaft. FC7253 Anodised Anodized Black, 6mm splined shaft. 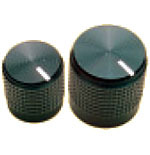 KMK10E Knobs for professional equipment comprising of a machined aluminium aluminum shell on a molded moulded plastic inner. Push on fixing. Other anodised anodized colourscolors may be available subject to quantity. 10.7mm base diameter, 19mm height, 11mm shaft depth. FC7257 Anodised Anodized Black, 6mm splined shaft. FC7259 Anodised Anodized Black, 6mm USA ‘D’ shaft. The colourscolors shown below are for reference only and may not be identical to actual colours.colors. If an exact colour color selection is required we are happy to provide samples for your evaluation. 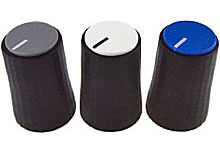 Custom colours colors are available for single and multi colour color moulded molded knobs. Please call us to discuss your specific requirements. 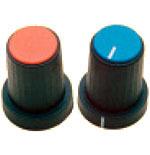 Knob caps can be supplied plain, with a marker line (ML), with a marker dot (MD), or custom legend. When specifying fixing options, indicate shaft size and type, i.e. screw fix (SF), push fix (‘D’), splined (SPL), or collet. KM20B, KM40B, KM50B Y ? Y = Yes, available as standard.
? = Enquire if required. * For all-black model only - version with integral cap is available. + Including ‘R’ soft-touch versions. Not all push fix models have metal springs. 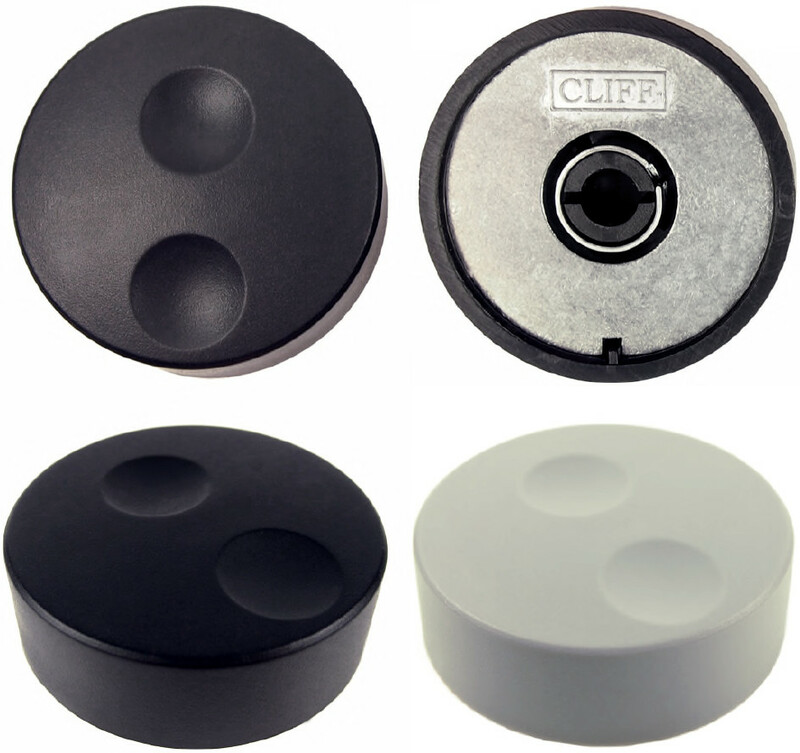 Many of our knobs are stocked by Cliff™ distributors.